AMEX surcharges and availability aside, Apple Pay has a number of its own issues. If you're relying on your iPhone as your primary payment mechanism, keeping your phone's battery alive becomes more important than ever. My iPhone 6s needs a top up most days, which makes going wallet-free a bit of risky prospect. And even if you do go wallet-free, you can't just hand over your iPhone to start a bar tab, for example. 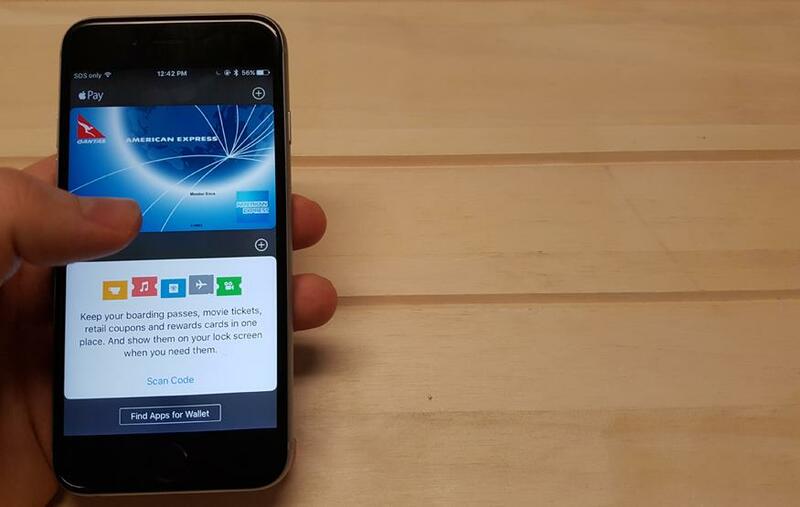 Locally, the fact Apple Pay is only available to American Express cardholders means you're probably going to have to juggle multiple banking apps. My other credit card is with my bank, and paying it off is almost as simple as dragging and dropping money from one account to another. By putting another card into the equation, I've got another set of bills to deal with, and one more item on the big to do list in my mind. I'll probably just set up a direct debit for repayments, but this is the kind of hurdle that could potentially mitigate the convenience factor for some. That being said, Apple Pay does have its strengths too. Biometric authentication means you never need to remember a PIN, even when making payments over AUD$100. You've got an instant, up to date transaction history within the Wallet app. And you're also able to make purchases within select apps (such as the Apple Store app) with just your fingerprint. Apple Pay isn't a perfect solution, but it's a small slice of tomorrow that's available today. The lack of bank support is a huge limitation right now, but hopefully we'll see more providers jump on board with sophisticated systems like Apple Pay, Samsung Pay, and Android Pay, rather than trying to ham-fistedly deploy their own. The convenience all but disappears when you have to put a sticker on the back of your phone, or open up an app to make the payment. I can't see myself going wallet-free any time soon, even if smartphone payments take off, but I’m certainly looking forward to ditching a few more cards.